Oral-B Genius 9000 White Electric Toothbrush incl. 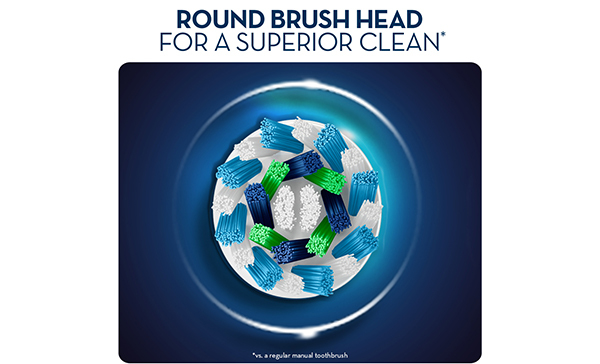 3 Brush Head Refills & Smart Travel Case is rated 4.8 out of 5 by 658. Rated 5 out of 5 by Paula_35423229 from Excellent! Excellent quality toothbrush that makes your mouth feel really clean with confidence of fresh breath. Rated 5 out of 5 by Rusty_35417716 from Excellent! This is a fantastic toothbrush with so many great features. My dentist and hygienist have recently commented on how clean my teeth were. My dentist uses the same model. The battery life is good and the features are so helpful as I have sensitive teeth and setting is brilliant. Rated 5 out of 5 by Ealice from Teeth never felt cleaner This tooth brush is great and makes you feel like you aren’t missing any parts while brushing with the app. It doesn't have a displayed timer, but it pulses after 30 seconds, so you brush 1/4 of your mouth, it pulses, you change to the next 1/4.